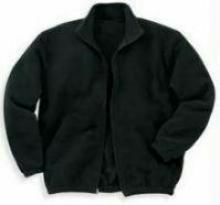 400 GSM Polar Fleece Fabric. Upsewn collar for air-tight protection. Extra Long Side Pockets for comfort and storage. Mobile Phone Holder in Pockets. Featuring Xtra-stretch technology for body fitting comfort. Washable and Drycleanable. Iron on mild settings. Standard Indian FREE Size. One size fits all.